Go Rentals - Your Top Destination For Affordable Car Hire Worldwide! GO Rentals was founded in 1997 and from that time, the company has gone from strength to strength and is now recognised as one of the biggest and best car rental companies in New Zealand. What makes GO Rentals different from many car rental companies out there is their focus on customer service and the culture within the company of making sure that everyone who rents a car from them has an awesome experience from making the booking through to dropping off your vehicle. With locations in four major cities across New Zealand, GO Rentals have built up a customer base of visitors from across the world. Understanding that for many this is a trip of a lifetime is part of what makes the GO Experience so satisfying for so many of their customers. 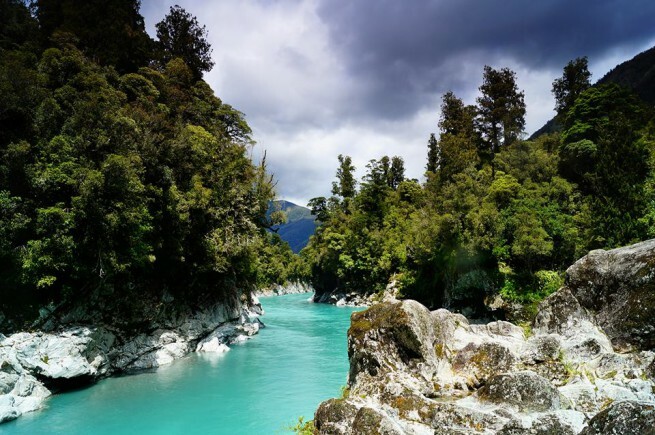 People traveling to New Zealand don’t want any hassles when they hire a car; they just want to get out and explore the magnificent sights and sounds of New Zealand. By making the reservation process as smooth as possible and preparing customers for an adventure on New Zealand’s roads, GO Rentals makes sure that people are able to get out and experience New Zealand at its best. Although GO Rentals has a big team of staff, they’re like one big family and everyone is willing to go the extra mile to make any customer’s journey a real adventure. GO Rentals have a big fleet of cars from zippy hatchbacks to four wheel drives, getting you out on the road in style and comfort meaning the only thing you need to worry about is which awesome activities to get involved with each day! Where can you find GO Rentals? GO Rentals have branches in Auckland (city and airport), Wellington, Christchurch and Queenstown so getting around New Zealand with these guys is pretty simple. With a free airport pick up service in all cities, it couldn’t be any easier to get your New Zealand adventure started. With fantastic offers including one way relocation deals booking your next New Zealand adventure with GO Rentals couldn’t be easier. Make GO Rentals your first choice for car hire and check out their deals today.